Lakshmi leaves onlookers impressed with her talent at the camp in Coimbatore. 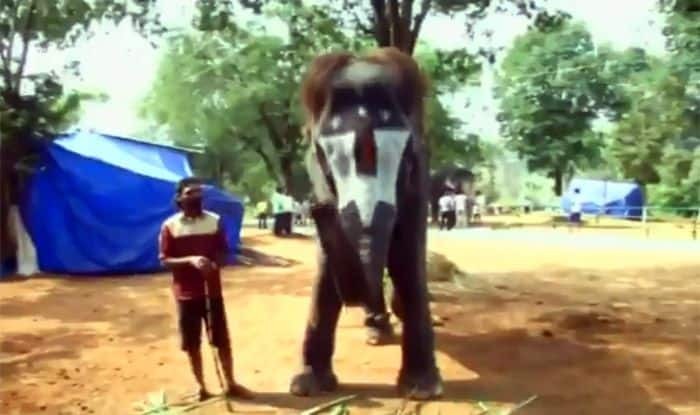 An elephant at a rejuvenation camp in Tamil Nadu has gone viral after a video showing her playing the mouth organ surfaced. Named Lakshmi, the elephant looks very charming as it entertains visitors. Located at the Temple Elephant Rejuvenation Camp in Coimbatore district of Tamil Nadu, Lakshmi leaves onlookers impressed with her talent of playing the mouth organ with her trunk. From the video that was shared by news portal ANI, it looked like Lakshmi was enjoying herself playing the organ and even dancing to the tunes. Check the video out for yourself. According to Lakshmi’s owner, it took some time to train her to play the mouth organ, and she did break a few before she mastered the art. “My elephant’s name is Lakshmi. She can play the mouth organ. It was very hard to train her to play the organ and she initially broke five instruments. Gradually she began to understand what I say and now my Lakshmi can play for 15 minutes without stopping in our temple,” ANI quoted the elephant’s mahout of the Erattai Thirupathy Temple as saying. The Temple Elephant Rejuvenation Camp is a place where elephants from across Tamil Nadu and Puducherry are annually brought to for rejuvenation. At the camp, elephants receive royal treatment, are served nutritious food and medicines, a good shower and a brisk walk twice a day to improve their health. During the 48-day event they also undergo health screening and treatment for various ailments and infections. The caretaker of the elephants believes the camp, held once a year, is very good for their animals and offers a bonding place for elephants who are brought from different temples and mutts. The camp, an initiative of late Tamil Nadu Chief Minister Jayalalithaa, was started in 2003.